As a new mom, I wanted to share some suggestions for Mother's Day gifts. You can't go wrong with something handmade from the kids or grandkids. Whether it's a card, a picture frame or a yummy batch of cookies, this is a holiday where it really is the thought that counts. If you're drawing a blank on ideas, check out Pinterest for easy and unique handmade gifts. Everyone likes to be treated special every now and then. Some of my favorite luxuries are a good massage, mani/pedi, a great meal and flowers. 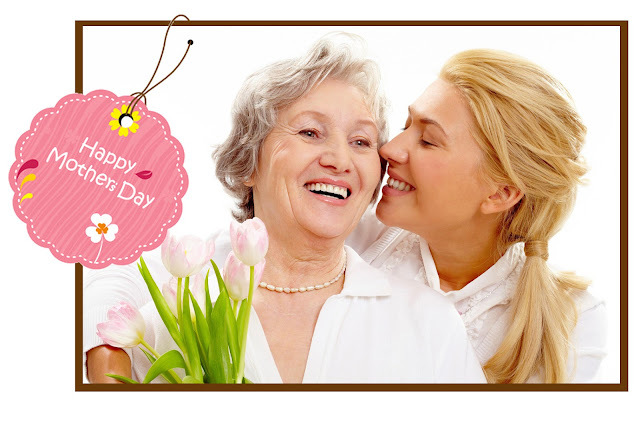 Figure out what special treat your mom really loves, (even if you just have to ask her), and take her out or give her a gift card to her favorite place. Moms don't always get a lot of time to themselves. Usually the little time I get is when I'm showering so I really like nice bath and body products. When mom can't get out to the spa, bring the spa to her! She'll love a nice sugar scrub, creamy body butter, or a luxurious set. Next time you visit her, try to sneak a peek at what's in her makeup bag or vanity. Surprise her with her favorite products or an awesome new spring lip shade from gloMinerals, Osmosis Colour or Pur Minerals. Sometimes, it's not the "what" that matters and your mom just wants to spend some time with you! Give her a visit or a phone call to let her know how much you care. What are your special plans for Mother's Day this year? Let us know! Until next time... stay tuned, stay beautiful, and happy Mother's Day!